Do chickens ever get sad? Whilst we do need to take care in applying human emotions to chickens, from what I have seen in my many years of keeping chickens I do believe chickens do get sad, miss other chickens and suffer loneliness. They can go off laying and go off their feed. But they generally will get over it in time. I also think that chickens live much more in the moment and get over it much more quickly than humans would do, it hurts us more than them as we apply human characteristics to our feathered friends. T do believe that they do form strong bonds with each other and that is what we think of as depressed or sad once the bond is broken. 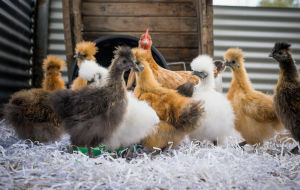 Below: Chickens do best in small family groups. I know that mother hens that lose chicks take it especially badly and will call for them for days and may even try to take chicks from other mother hens. Chickens DO get sad. Most people think they are just bred to be farmed, lay eggs, and then killed but they are animals so you shouldn’t forget that. The main reason why they get sad is because they feel like they can’t act on instinct. Imagine that there are chickens living in a tiny backyard with many restrictions. Those chickens wouldn’t be able to live their life. Although some chickens live indoors it’s because the owners love them. They don’t mean harm to the chicken, it’s just that the chicken prefers to be outdoors. Yes. I’ve had chickens for years. They tend to have certain chicken friends within the flock that they hang out with more than others. If/when one of these chickens die, the chickens make a different sound, a different sort of cooing that is mournful. No other way to describe it. Same sound when a broody hen loses chicks. Can you tell if chicken is happy or sad? 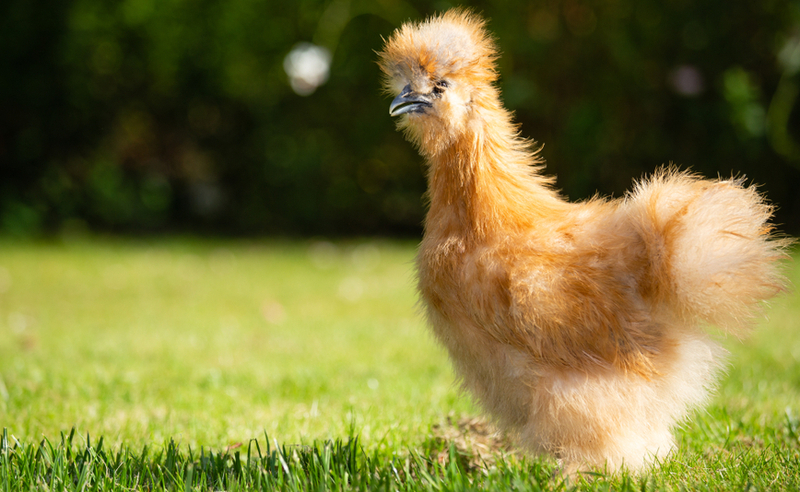 Chickens that are happy exhibit classic behaviours and will be active, scratching around in the grass, laying about in the sunshine, preening or taking a bath in the dirt. They will also be laying and the whole flock is likely to be more calm and relaxed. 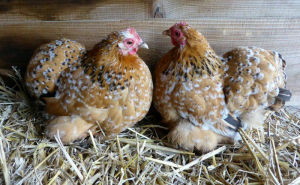 If your chickens are ill, they will not be very active, and will often not leave the coop to do their usual things. Their feathers will be ruffled or puffed out, and their combs may be pale. Chickens that are scared will try to hide or run away and if it goes on long enough they may withdraw and die. I recently lost a hen that was part of a clutch of only 2, to a predator, and her sister often let out very sad sounds that are unmistakable for several days, and looked for her in all her favourite spots. If you watch your chickens closely, after a while you will be able to learn their body language and know when they are happy, sad, broody, ill, scared, mad or something different entirely. 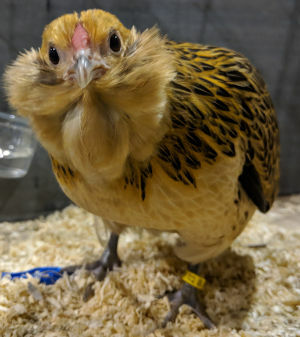 How can you cheer chickens up? Mostly by taking their mind of what bothering them. Hang cabbages and swings in the run as well as perches. Make sure you have at least three birds, chickens are a flocking bird and need company. Dust bathes and scratching areas. Keep them properly fed with clean water and treated often for parasites. I have re-homed ex battery chickens on quite a few occasions and rescued chickens before and if they have been in a situation long enough, like in confined battery cages, then I believe they suffer something similar to depression and you can see it in their behaviour. Rescued battery hens often just stand withdrawn, quiet and still for a few hours. Absolutely chickens get lonely. I have always told people who are looking at getting chickens for the backyard to get at least 3 as they are social birds that like company. I have seen happy serene birds. I’ve seen thriving active birds. I’ve seen sick and scared birds. I have also seen a chickens response to barnyard stress and have witnessed what appears to be lonely chickens. Our flock’s biggest rooster quit eating. He crowed less. He was active, but he withdrew from society. We figured that the stress of maintaining his top position against young upstarts was getting to him. Yes, chickens can get lonely. Chickens are a lot smarter than people generally give them credit for. They can also recognise a multitude of faces, and tend to remember things that make them comfortable and uncomfortable. I don't know if they feel sadness, but they do seem to grieve the loss of a close companion. In the spring of 2015 I had a loose dog break into my coop and kill half of the chickens I kept in there . They were a group of young Isa Browns that had hatched and been raised together. Six were killed in the attack and it was several months before the remaining been perked up and started bonding with any of the remaining hens. I knew when a couple chickens were taken by a predator and the remaining chickens seemed sad and despondent. Yes also they do form bonds. I have two from my original flock who still stick together and have done so since they were pullets. Also, my Rhode Island Reds, before they died, both would not be far from the other. They even slept side by side on the roost every night. When the one got ill, I would take it outside for a bit to feel the sunshine and maybe eat some grass if it wished. 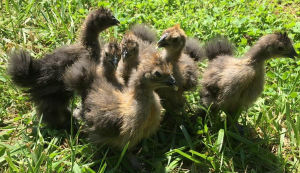 Baby chicks will chirp in a different tone when they are distressed or lonely, and chickens that get separated from their young chicks are very vocal about their displeasure! I would say they definitely could be, if isolated, neglected, or abused. Chickens are capable of a range of emotions. They get irritated, scared, angry, curious, and loving. They are communal and prefer to live in groups that they select themselves. What are the signs of sad, lonely or depressed chickens? 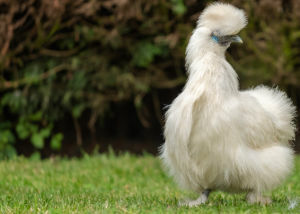 Chickens will looks fragile and pale. They might stand alone and make little effort to eat the feed or drinking a lot of water or nothing at all. 1. A pale red comb and wattles. 5. Standing away from the flock on their own. They can't cry because they lack tear ducts. 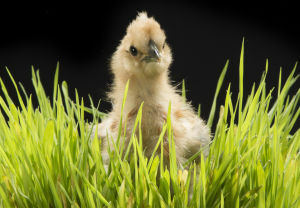 Chickens have a third eyelid called a nictatating membrane to keep the eye moist and clean.